Always check the product label and material safety data sheet (MSDS) for first aid information. EYES: Flush with copious amounts of water for a minimum of 15 minutes. SKIN: Wear chemical resistant gloves for prolonged skin contact. INGESTION: If swallowed drink a glass of water. DO NOT INDUCE VOMITING. Seek medical advice if symptoms persist. Please take particular care when handling and storing hazardous substances and follow the appropriate government regulations. 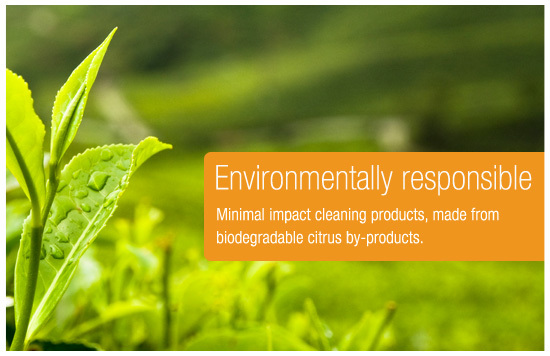 Citrus Resource products contain natural ingredients such as plant acids and citrus extracts which can be strong in a highly concentrated form, therefore it is recommended that chemical resistant gloves, clothing, face shields and eye protection are worn at all times as best practice. Ensure adequate slip protection matting and safety signage is used in public facilities such as shopping centers, gymnasiums, hospital, aged care homes and domestic bathrooms. Whilst Citrus Resource Products do not create a slippery surface the dislodged body oils, grease and grime may. Always check the product label and application details prior to use and test product on an inconspicuous surface prior to use. Always follow the fabric/surface manufacturer's instructions before application of all of these products. Because some of the Citrus Resource products contain plant acids and citrus extracts they are not recommended for marble or terrazzo, granite or natural stone surfaces. Care should be taken on painted surfaces or surfaces that are old or cracked like coated brass taps.